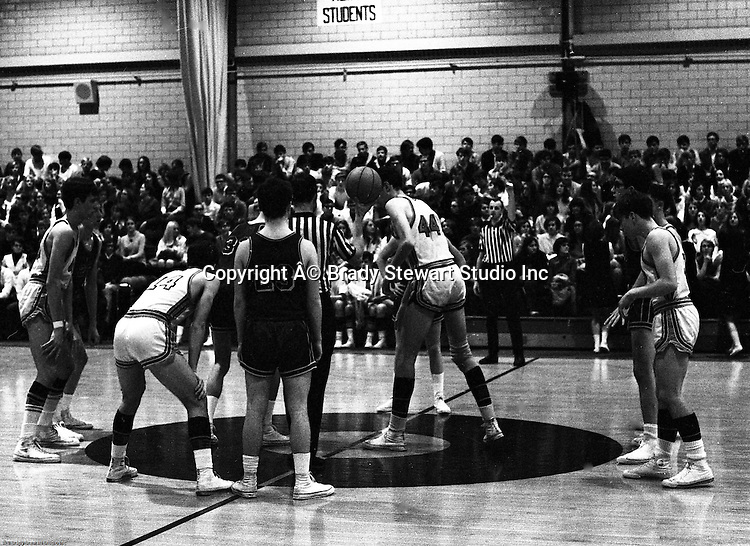 Bethel Park PA: A jump ball at the beginning of the basketball game against the Mt Lebanon Blue Devils at Bethel Park Gymnasium - 1968. Others in the photo; John Klein 44, Mike Stewart, Bruce Evanovich, Steve Zemba. The JV Team was coached by Mr. Reno and the Bethel Park JVs won the Section Championship. The team included; Scott Streiner, Steve Zemba, John Klein, Mike Stewart, Bruce Evanovich, Jeff Blosel and Tim Sullivan.